The snake that the hawk is eating looks like a gopher snake. Fantastic photos and beautiful subjects! I always love seeing photos of Uroplatus in situ. That's one of the coolest things I've ever seen Porter. Good on you! Very cool, I was just birding out there a couple weeks ago. 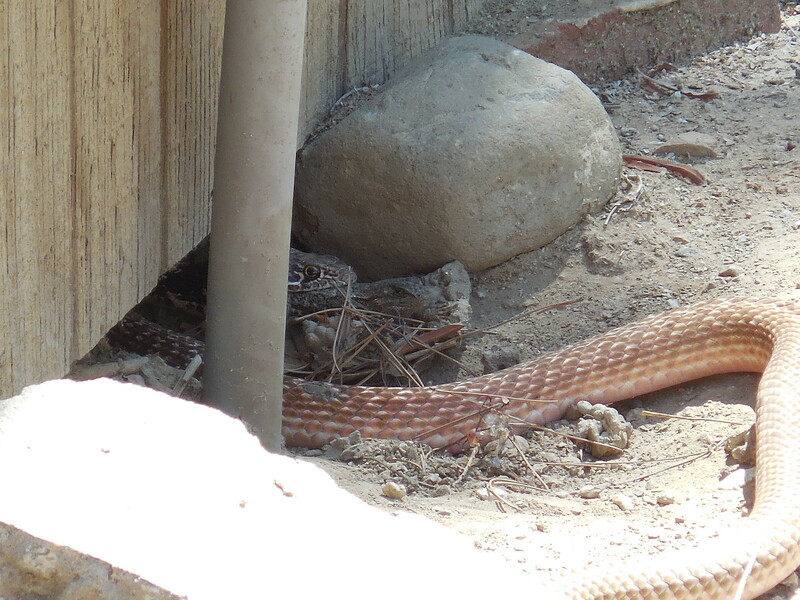 Love the gopher snake passing through the background! Nice post Nicholas, it was fun hanging out with you guys! Can anyone ID this birdy? I got it on my calendar Jeff. I know it's not necessary, but I third Jeff for Chapter President and Nate for Ed Specialist. I think they are both great guys and would do an excellent job. 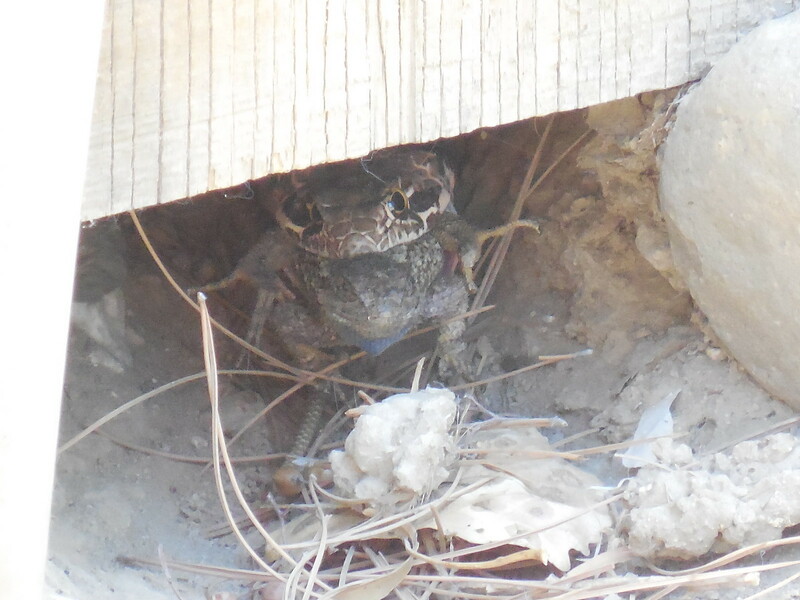 Topic: Arroyo Toad ID Confirmation. Re: Arroyo Toad ID Conformation. Image isn't showing up for me. Very cool Lou, what a fun excursion! Also, I think those were blackberry bushes (Rubus sp.). I love the photo of the Varanus nebulosus. Thank you for the wonderful report! Was the fish ladder at Bonneville Dam by any chance? I used to live up in that region. Your photos bring back fond memories. Love that sturgeon! What a fantastic story! Thank you for sharing it. Topic: Chelonians in the news! Re: Chelonians in the news! This is sooo cool, thank you for sharing! Good luck, and please take some time to enjoy the wildflower bloom! I was hoping to make it out there sometime this month myself (actually for the flowers more than the herps), but unfortunately will not be able to. So be sure to post some "habitat shots" for us (me ) as well! Pretty cool Jim. Is it atrox? If so, it does look a bit different from the captive produced patternless atrox I have seen. I don't think they manage part time bird visitors either. The State does manage migrant bird species and there are many that have been given various State special status designations. Do Pelamis have any special status/protection federally or otherwise, as far as anyone knows? Thank you for the additional info Hannah. I had read somewhere that much of the land had already been purchased by private groups who then donated it to the BLM with the expectation that it would eventually be given the national monument designation. Nice! I really liked the Phyllorhynchus browni. I just came accross a helleri that was out sunning yesterday in Los Angeles county. I think the temperature was somewhere in the high 50s to maybe around 60. It was definitely the coldest I had ever seen a crote active down here. It made me sad not to see this post up. Thank you Kent, RIP. Pretty interesting and relevant to the discussion in regards to population trends. Nematophora, (Gordian or horsehair worm) probably just emerged from the mantis. They are often seen after rains. Pretty cool. Brian Hubbs wrote: That is a young leopard lizard...maybe a sub-adult. An adult would have been bigger than your hand. And if it were a gravid female it would have blotches of red/orange coloration as well. Cool find, one of my favorite lizards. Wow, very very cool Lou. Not sure if this has been posted yet. Pretty interesting. Looks like Dipsosaurus to me.